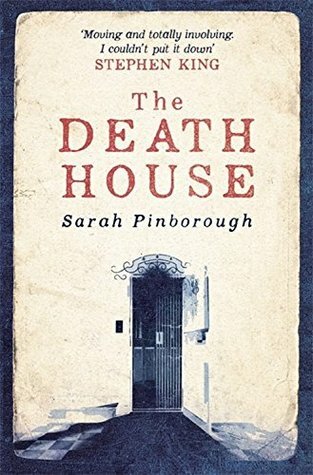 Presenting The Death House by Sarah Pinborough. Taken from his family, Toby now lives in the Death House; an out-of-time existence far from the modern world, where he, and the others who live there, are studied by Matron and her team of nurses. They're looking for any sign of sickness. Any sign of their wards changing. Any sign that it's time to take them to the sanatorium. Equal parts fascinating and equal parts dragging. At this point I was still nursing my Lady Midnight hangover. So I was still on the fence for this. If you have read The Girl with All the Gifts then you will find this book similar. I will say this about The Death House that the author sure manages to keep us in suspense till the end. Where we realized that the secret wasn't revealed at all. But the best thing for this book would definitely be the humans in the story. The narrative while seemingly slow at first focuses more on the children. How their environment effects them. Their peers. Or the scare of the disease sending them to the sanatorium. I'll be truthful, I didn't really care about any of the characters but you have got to hand it to the author, the way in much she elaborates the mundane life at the Death House is simply exquisite. "Dark, compelling and hauntingly human"